This post is sponsored by GroopDealz. 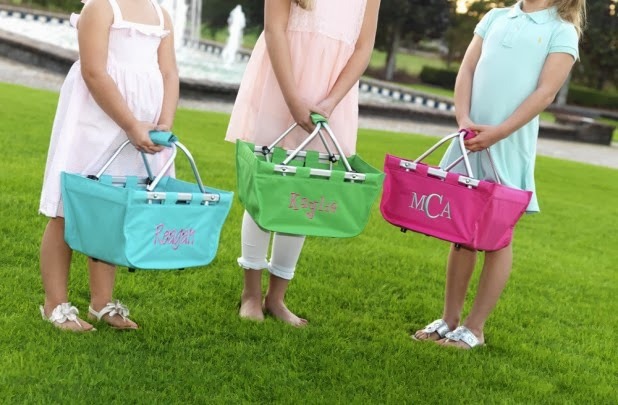 I am currently loving these personalized Easter totes! What a great idea for the littles! These canvas totes would be perfect for those outdoor Easter egg hunts. And they can be personalized so the kiddos can't argue about whose basket is whose. What? That doesn't happen at your house? ahem. If you like these, hurry. This sale only lasts until tonight! I receive compensation from GroopDealz, but the opinions expressed in this post are 100% mine. I love GroopDealz!